Since the focus of this blog is Druidic occultism, we will occasionally (even frequently) be looking at the ‘occult’ portion of that equation. For those waiting for something Celtic, I have another review on the way directly. These short reviews cover three small books that I have read lately in an effort to examine modern streams of magical, Pagan and witchcraft practice. Lately I’ve been getting small press items from the UK, where a nice ferment of occult ingredients seems to be cooking. All three are from small occult presses, all three nicely produced small volumes, two paper, and one handbound in boards. All three either are themselves, or relate to the tradition of grimoires and magic books. The first is itself a translated grimoire, the second concerns folkloric “Witchcraft” and it’s Pagan connections, and the third takes us on an excursion into much stranger spheres, based on one of the most rumored and buzzed-about neo-grimoires of the end of the last century. We’ll begin with the most scholastic and work our way along. A Collection of Magical Secrets, etc., & A Treatise of Mixed Qabalah, etc. “Translated from Wellcome MS4669 by Paul Harry Baron from the original French manuscript dated 1796” So says the cover of this book, and so it is – a direct translation of a working magician’s book of the late 18th century. The contents were bound together with a version of the Clavicule of Solomon and another Keys of Solomon, which have been published separately. As opposed to the fairly detailed theoretical and ritual systems of the keys, this book seems to be the operative notebook of a practicing conjuror. The most common name for a cunning-man’s personal book of spells and lore was a ‘Book of Secrets’, and that’s what we have here. The text begins with a simple spell-book of the sort that might be used by a cunning-person. There are a variety of spells (or ‘experiments’ as the book calls them) for healing, love, finding lost objects, most of them very simple and folkloric. Mixed with these are various conjurations of spirits and angels, including several workings to gain a familiar spirit (one of which I just may have to adapt). Most of the charms are worked under the Christian archangels and standard divine names, though some seem to call on traditional ‘demons’ as well. In general there isn’t a trace of memory of Pagan deities beyond their presence as the seven planets. The second section is four chapters of work called “A Treatise of Mixed Cabalah”. I found this section interesting in that it shows the existence at an early date of the kind of westernized Cabalah that is familiar to students of Mathers and Crowley. The first part summarizes material that will be familiar to students of hermetic Cabalah – the ten spheres, their correspondences and authorities. It then sets out a seven-day theurgic working to gain inspiration, knowledge and the teaching of the angels. The second part gives a method consecrating planetary talismans, similar in type to the methods given in the Keys of Solomon. The third part gives the talismans themselves, and an interesting method of dream incubation. The fourth part gives an oracle, of the sort popular in the late 18th century, the most famous of which was Napoleon’s Book of Fate. A list of numbers from 1 to 112 are each provided with an answer, such as: “Since though believest in God, trust him, for he will make thine enemies fall and he will fulfill thy requests to thy great satisfaction.” Or “Let it go. For thou dost not know the commandments of God and although God may be slow, he is however satisfied at the end.” A method is then given to determine which answer is taken to any given question, though it amounts to little more than simple bibliomancy. I must admit the model has me thinking about how it could be used to produce oracular books of use to Pagans. This is an interesting and well-presented example of early modern English magic. Those actually working in a Cabalistic or angelic system could apply the experiments directly. Many do seem to me to be adaptable to a more Iron Age perspective. This is one of a number of books I’ve read that claims to represent a tradition of Pagan Witchcraft older and ‘more authentic’ than that of Gardner and his Wiccan inheritors. In this case the system of witchcraft presented draws on Cornish countryside spirit lore, folkloric spellcraft and remnants of the cunning-folk traditions to construct a modern form. An interesting thing about this system is that it attempts to provide a Pagan context inside which a folkloric magical tradition could operate. The author describes a devotion to a nature-power, androgynous, summer-winter sort of goat or stag spirit, the Bucca (which means, roughly, “goat” in Celtic languages.). Along with this cross-roads deity the system focuses on the spirits of the Dead in the land and in the Otherworld, which are identified with the ‘pisgies’ of Cornish lore. The book provides outlines and some spoken te xt for rites of worship that have a nicely Pagan feel to them, including an emphasis on the witch’s hearth as a key magical center. The central rite of ‘worship’ is essentially a sacrificial feast in which bread and mead are shared with the spirits. Throughout this material there’s a kind of imagined countryside devil-worship – as long as we remember that the Devil is really the Bucca. Aesthetically it treads a line between homespun and gothic. The author makes an effort to associate this ‘Traditional Witchcraft’ or ‘cunning craft’ with the practices of famous Cornish cunning folks and reputed witches. She drops the names of undoubtedly historical modern figures, and freely uses the term cunning folk interchangeably with ‘witches’. This is where the scholasticism of the book breaks down, in my opinion, and becomes the very same sort of Neopagan romanticism we all know and love. What we’re seeing here seems, to me, very unlikely to be an actual remnant of folk paganism from the 18th and 19th centuries, but rather a nicely done reconstruction. The author (or her group – she’s part of a circle working the system, it seems) has done a good job of cobbling bits of folklore into workable rites – a skill I admire. 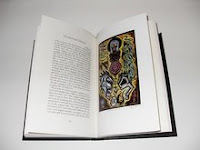 More than half the book is taken up with its grimoire, which is plainly based on the same sort of cunning-person’s Book of Secrets that we see in the above review. The author is interested in herbs and oils, and gives extensive recipes for incenses and various anointing oils. There is an effort made to devise a system of categories for magical intention (or ‘energies’) and support them with corresponding substances – so we find Toad Smoke and Hare Smoke recipes along with Serpent and Crow. There is a system of making talismans in the form of ‘sachets’, small, square-sewn packets, and the usual variety of practical spells for love, healing, protection, turning away ill and cursing. The spells are influenced by the same literary tradition that produces the Book of Secrets – countryside lore mixed with elements of scholastic magical traditions. They retain the seven planets symbol system, and give planetary number-squares and sigils for each, derived from scholastic magic. However where an 18th century system would have called on angels and demons of late Judeo-Christian provenance, this grimoire offers spirit communication with the ‘piskies’ – the crowd of the Dead – instead. The book concludes with chapters on group worship rites. Full Moon and New Moon rites are described (though not scripted). The seasonal ritual days are the four Celtic feasts along with the solstices, the equinoxes having no customs given. These days are given their Cornish folk names but are quite recognizable as the modern Pagan holy days. All in all a good effort, with a lot of workable material for a solitary Pagan magic user. I remain bemused at the effort to turn the ‘cunning-man’ into the ‘witch’, but I understand the impulse. Incidentally also a pretty and romantic treatment for this book – I love it when magical authors illustrate their own ideas. Hang on to your wangas, now we’re going somewhere different. Where the first two books are themselves grimoires, instructions for personal magical practice, this small book is instead a comment on a much larger modern grimoire. The Voudon Gnostic Workbook, by Mic hael Bertiaux, is a book with a lot of buzz among Thelemites and chaos magicians. It’s a huge book that takes the reader on a labyrinthine journey, starting with being a Big Lucky Hoodoo and ending up somewhere-weird of Atlantis. In fact Atlantis plays a big part in its mythology, along with Zothyrius, Lemuria and Lovecraft’s Yuggoth. It may have been the Lovecraftian element in Bertiaux’s work that attracted Kenneth Grant, who profiled him in Cults of the Shadow. One of the most notable characteristics of the VGW is its impenetrability to casual study. This small book, Voudon Gnosis, is by one of the only other occultists to write on the system, a student of Bertiaux. It attempts to offer an eighty-page introduction to some of the book’s key ideas and practices. It rather succeeds, but the author admits at the outset that the VGW material is “...abstract and very complex”, and so it really only succeeds so well. I bought this book on the recommendation of a review of it by Freya Aswynn, who suggested that is was relevant to any magician interested in working with the spirits. I don’t disagree. Within the delightful gobbledeguk of the occultism is a serious approach not only to working with the spirits, but to empowering the individual and enabling wild explorations of little-known spiritual spaces. The VGW system is based somewhat on Haitian Voudon, and some of the terminology is retained. The Prise des Yeux – divine vision or second sight, the points chauds – hot points, which are conceptually related to the chakras and marmas of eastern systems and the use of spirit bottles and fetishes all have roots in traditional Voudon. From that basis the system appears to intend to create a system of mysticism that allows the student to transcend common reality and construct their own magical universe in which to dwell. That’s the gnostic part of Voudon Gnosis. Along the way the system intends to produce magical ‘powers’ of the usual sort. I bought this micro-press item because I decided I’d start actually getting some of this good stuff before it only was available as a rare book. It’s a very nice hardback edition with embossed cover, but quite slim. I thank Scarlet Imprint for not making the price ridiculous, even with overseas shipping. Is this book worthwhile for students of a northern occultism? It could be, but it will be of far more use to experienced practitioners with multi-cultural sensibilities. The material on fetishes (ummm, that is, empowered images…), on body-based mysticism and on work with the Dead could all be instructive, though the complex mythologies of the system make even this simplified introduction pretty opaque. "The author describes a devotion to a nature-power, androgynous, summer-winter sort of goat or stag spirit, the Bucca (which means, roughly, “goat” in Celtic languages.)." I'm under the impression that 'bucca' is related to the slavic word 'bog', meaning god, or spirit. The Irish for 'goat' is 'gabhra'. The Welsh would be 'gafr'. These are both related to the Spanish 'cabra', and Latin 'capra'. Perhaps this was the wording of the book's author?